For the past 43 years, April 22nd has been the day when America commemorates the changing of its consciousness about our planet and its finite resources. From its beginning in 1970, when “flower power” was a radical notion, Earth Day has become a touchstone for both genders, all ages and people of every political persuasion. The founders of the movement could not have possibly imagined that almost 50 years later, grandparents would be talking to their elementary school-aged grandchildren about recycling, carbon footprints and natural resource conservation. However, that’s exactly what has happened and Texas Back Institute is proud to be waving the Green flag too. As Earthday.org notes in 1970, “Air pollution was commonly accepted as the smell of prosperity. ‘Environment’ was a word that appeared more often in spelling bees than on the evening news.” All of that changed when Senator Gaylord Nelson, U.S. Senator from Wisconsin and U.S. Representative Pete McCloskey of California joined forces to begin an organization that was to become the impetus for the annual celebration of Earth Day. Here’s how the network news reports covered that first Earth Day. Over the years, this original environmental “protest” has become more of a teaching opportunity. Anyone who has been reprimanded by a young child for such transgressions as littering or having a gas guzzling vehicle understands Earth Day and the sentiments that it commemorates has become a fundamental part of the American psyche. In addition to heeding the admonitions from youngsters to “Save the Planet” and “Go Green,” environmentally sensitive business practices have been developed by many companies. As such an organization, Texas Back Institute helps educate its staff about earth-friendly responsibility and saves money- all while saving the planet. From our beginnings, the goal of Texas Back Institute has been to perform as a center of excellence. We do so by integrating the best of science and education with the exemplary business practices. We believe it is both good business and ethically responsible to conserve our natural resources. Over 35 years, Texas Back Institute has become one of the largest freestanding multidisciplinary academic spine centers in the world and along the way we have worked hard to reduce our own carbon footprint. What does Texas Back Institute do to help conserve natural resources? A large medical practice can literally consume tons of paper and much of it must be shredded and destroyed in order to protect patient privacy. We’ve made it a point to find a document destruction firm that recycles this paper after the shredding and destruction have been completed. An even more effective way to save natural resources such as trees is to avoid using paper altogether. We’ve done this by aggressively pursuing electronic health record keeping throughout our offices. Electronic health records (EHR) save on paper waste as well as computer resources. It also enables more efficient collaboration among our physicians by avoiding the massive paper flow and storage. Texas Back Institute also uses a “PACS” system for digital imaging in order to eliminate the use of paper folders and the plastics, metals and chemicals in radiology film. Plus, certified recycler is used for all electronic equipment destruction and recycling. We note these conservation tactics to show that it is possible for any enterprise – large or small – to reduce its consumption of natural resources. It takes planning and a commitment to efficiency in daily operations. One of the tangential effects of Earth Day has been to encourage earth-friendly transportation such as biking. Several of the surgeons at Texas Back Institute – Dr. Richard Guyer, Dr. Michael Hisey and Dr. Isador H. Lieberman – are cyclists and they find this sport helps them reduce the stress of their profession. 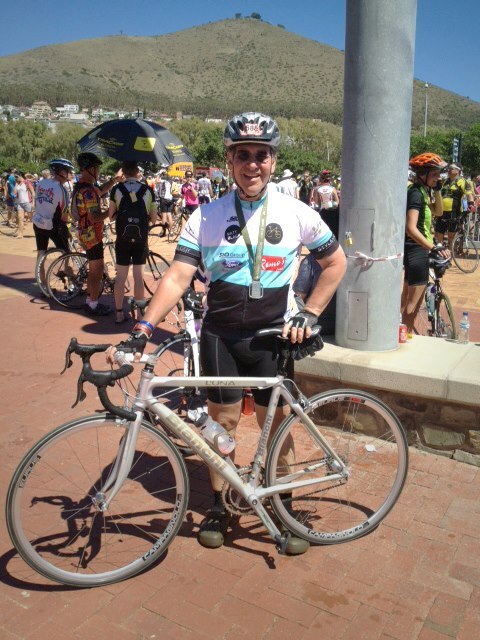 Dr. Guyer recently went all the way to Cape Town, South Africa to participate in the 109 km cycling tour around Table Mountain. This was a part of the “Pick ‘n Pay Cycle Tour.” For this event participants ride to support a charity of their choosing and Dr. Guyer along with many others dedicated their ride to the Jeffrey Allen Guyer Fund for Sarcoma Research now known as “Spinspiration.” The team has raised more than $50,000 and for more information, visit: https://give.massgeneral.org/spinspiration. Since he is both a spine specialist and cyclist, we asked Dr. Guyer to share some advice on proper techniques for biking and back health. Do any of your patients complain of back pain after biking? Yes, but neck pain is actually more prevalent. This soreness is usually the result of the rider being in racing position – where they are leaning over the handlebars, gripping the steering handles – and arching their neck. This can be alleviated by periodically sitting up straight, while gripping the top of the handlebars and stretching while riding. What precautions should someone take to keep from getting back pain from a long biking trip? The most important thing a new rider should concentrate on is being in aerobically good shape and having a strong body core. The best way to work into this is to use a stationary (exercise) bike or spin bike to get the heart rate up and go through this training a week or two before climbing on the regular bike. It’s also a good idea to bike slowly around the neighborhood a few days before attacking a challenging course or race. Getting into biking shape by building up strength slowly will help to minimize the soreness from cycling. 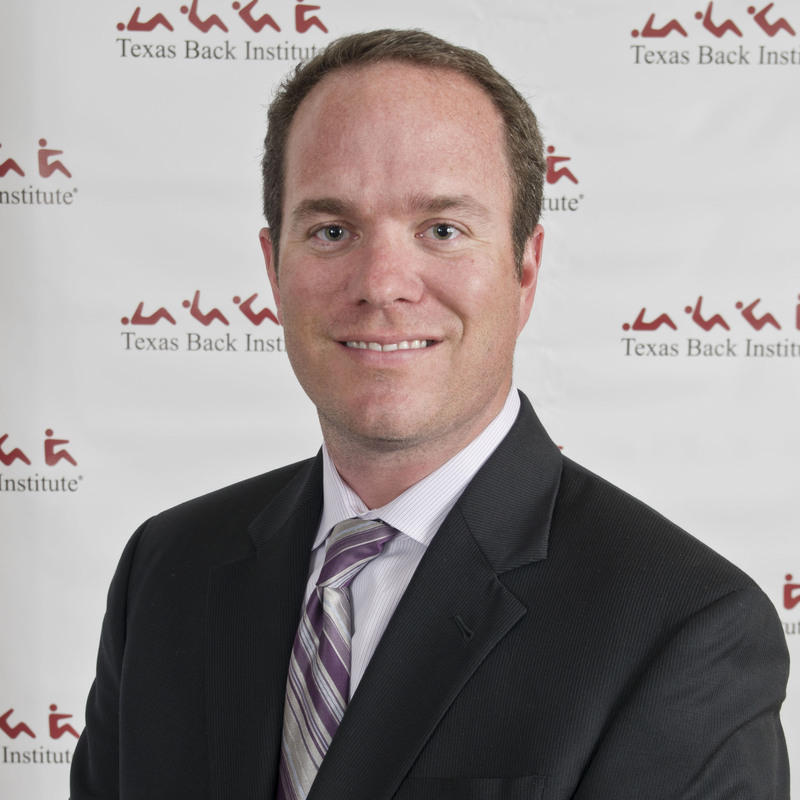 The business staff and the spinal specialists at Texas Back Institute are focused on treating patients for chronic back pain, disc damage, artificial disc replacement, scoliosis and spinal injuries. However, we are also committed to saving natural resources with innovative business practices. Join us in celebrating Earth Day 2013! 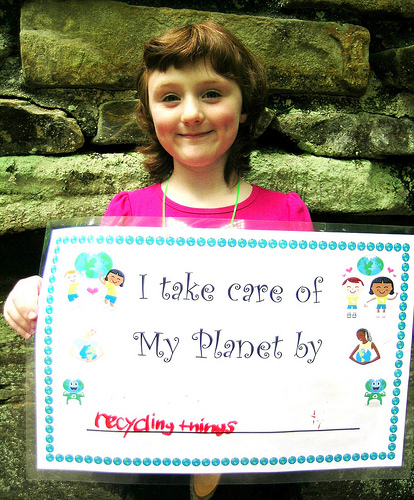 Is your company or family doing anything to help conserve our resources? Let us know. Post them below. The annual quest for the most recognizable coat in sports is on again and the green jacket with the “Augusta National Golf Club” logo is up for grabs at the Masters Golf tournament. Watching the best golfers in the world play this stunning course is enough to motivate scratch golfers and duffers alike to head over to the driving range or neighborhood golf course and hit a few. However, sometimes playing this game leads to some unintended consequences and the skills of the back experts at Texas Back Institute are needed. Before getting into the occupational hazards that every pro golfer has had to deal with at one time or another – back pain – it’s interesting to offer PGA fans a quick look at the group of golfers whom the experts in the game think have the best chance of wearing that jacket. Some, such as Tiger Woods, are internationally known and others are just beginning to garner sports headlines. Never underestimate the defending champ. Because Bubba Watson won 2012 Masters in spectacular fashion – in a sudden-death playoff with a remarkable, 140 yard hook shot – he will be confident and ready to repeat his feat. The others on the course will have something to say about this. 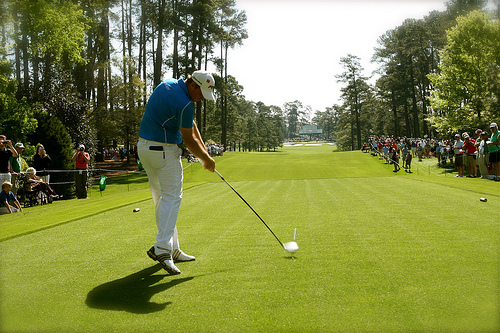 Another name being heard around the hallowed halls of Augusta as a potential Masters champ is Ian Poulter. He finished 7th in last year’s Masters but had golf fans around the world talking about his great play for the European Ryder Cup team. Is Rory McIlroy the heir apparent to the king of the course – Tiger Wood? Some smart golfers say yes and many expect this 23- year old from Northern Ireland to be in battling with Wood during the entire tournament. Unless something unusual happens, look for McIlroy name near the top of the leaderboard. Tiger Woods is on a roll, again and this makes him the odds-on favorite to win his 5th Masters tournament. He has won three of his last six tournaments, he obviously plays Augusta extremely well (largely because this course favors great putters like Woods) and his confidence seems rise when the limelight is on him. Even though there is no contact in the game of golf, the sport can wreak havoc with a player’s back. Just ask Donnie Wood. He’s a player on the senior tour who came to Texas Back Institute several years ago in so much pain that he found it difficult to get out of bed, much less drive a golf ball. Often, older golfers such as Donnie experience chronic back pain as a result of wear and tear on their vertebrae. In his case, the pad that acts as a “shock absorber” between these vertebrae bones, called a disc, was damaged from injury or repetitive wear. “As recently as 12 years ago, someone suffering from chronic back pain that was caused by degenerated or injured discs had only one surgical option,” said Dr. Jack Zigler of the Texas Back Institute. 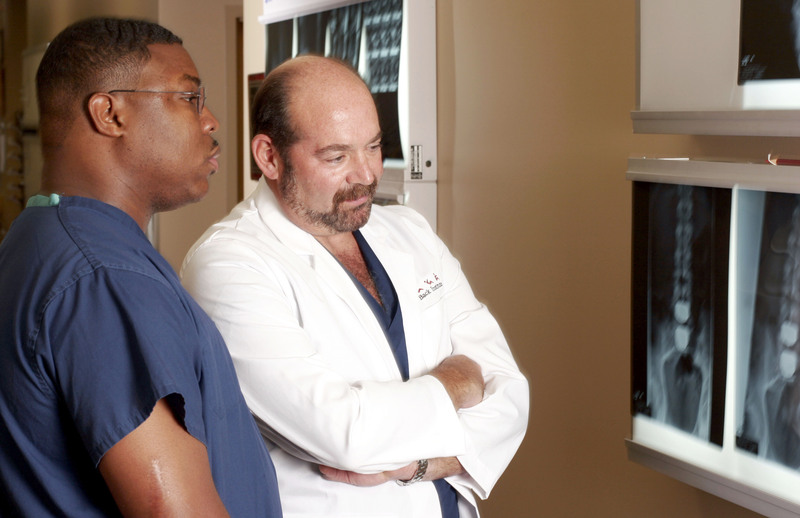 “Spinal fusion was the only choice if non-surgical therapy didn’t fix the problem.” All of that changed in 2000, when three surgeons at Texas Back Institute performed the first artificial disc replacement surgeries in U.S. Since then, these three innovative surgeons – Drs. Zigler, Blumenthal and Guyer – have performed more than 1600 artificial disc replacements. With the Masters tournament putting the sport of golf on the minds of men and women players, we asked Dr. Zigler for some advice – not about his short or long game – about the causes of chronic back pain. What is it about a golf swing that irritates the back of someone with minor back pain? When should someone who enjoys playing golf be concerned about back pain and when should they seek a medical opinion? Senior golfer Donnie Wood had a serious problem with his back, one that required artificial disc replacement. What caused this disc damage? 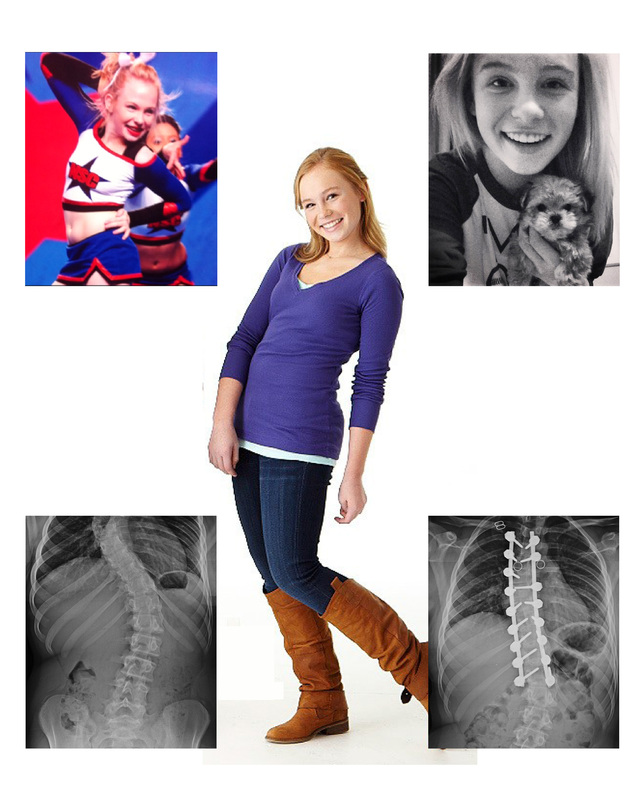 “As we all age, the structure of our discs, muscles, and ligaments in the spine change. There is a loss of water content and a change in the molecules of the proteins and sugars that are the structural framework of our soft tissues. Layered on these age-related changes are the small repetitive injuries that occur throughout our lives. These cumulative degenerative changes result in a stiffer, less forgiving disc that loses much of its shock absorber ability, and is less resilient to further stress and injury. Donnie’s disc had worn to a point that would not allow him to use his back the way he wanted without resulting in increased pain and protective muscle spasm. With no ability for the disc to heal itself, his options were to cut back on his activity (his work as well as golf, neither of which was a reasonable option for him) or to consider surgery. A fusion might relieve his pain nearly as well as an artificial disc, but it would put even more stress on the other segments of his spine. Disc replacement was a terrific option for Donnie,” Dr. Zigler concluded. What did Donnie need to do after the operation (for rehab) in order to get back into golf-shape? The mechanics of swinging a golf club can cause serious pain when a vertebrae disc is damaged. Fortunately, there are alternatives available to professional and weekend golfers. Here’s how Donnie Wood sees it. With just one lap to go in the NASCAR Sprint Cup Series Auto Club 400, driver Denny Hamlin’s day, took a sudden and violent turn for the worst. As a result of a collision with another driver, Joey Logano, Hamlin’s back was broken and he will likely be sidelined for the next six weeks. Was this accident caused by competition spiraling out of control? Will this crash end the career of one of NASCAR’s top drivers? The spine experts at Texas Back Institute see the type of injury Hamlin sustained – an L1 compression fracture – with some regularity, but most patients don’t sustain this injury while driving in excess of 200 miles per hour! NASCAR fans want to know the nature of Hamlin’s injury, what’s involved in the surgical treatment for this lumbar region of the spine, possible long-term damage Hamlin might expect and what type of rehab he will likely undergo. So, we asked a specialist. As a spine surgeon at Texas Back Institute, Dr. Michael Duffy is an expert at dealing with this type of injury and this makes him a great source for explaining the ramifications of Hamlin’s injury. His practice is focused on helping patients overcome chronic back pain, spinal disc damage, Scoliosis and, in the case of an accident like Hamlin’s, spinal surgery. Before getting Dr. Duffy’s thoughts, a brief review of this NASCAR accident is in order. Hamlin must have been feeling great when the cars lined up to start the race at Auto Club Speedway in California. He had good reason. His qualifying time of 187.5 miles per hour secured the coveted pole position for his #11 car for the race and as such, he was the favorite to win. This early optimism would be shattered a few of hours later. Although, additional safety equipment has been added to the track as a result of Sunday’s crash. Unfortunately, this new safety equipment will not help Hamlin. Wire reports note that Hamlin was examined Tuesday by Charlotte-area neurologist and spinal specialist Dr. Jerry Petty, who determined that the driver would not need surgery but would have to be out of the car for at least six weeks. NASCAR takes this weekend off, and the Sprint Cup Series returns to action May 7 on the short track at Martinsville. If Hamlin keeps to his recovery timetable, he would miss five races and return May 11 at Darlington. Since there will apparently be no need for surgery, Dr. Duffy notes that a brace and non-activity are the appropriate treatment for this type of injury. Had this injury been more extensive, the patient could have undergone a more extensive range of procedures, ranging from a corpectomy – removing the damaged bone and replacing it with a fusion cage – to adding screws and rods to increase stability of the spine. It’s been said that the sport of race car driving is simple – you just drive fast and turn left. However, when that speed is combined with even a tiny miscalculation in steering or bump from another driver, the ramifications can be serious. This is good news for NASCAR fans and especially Denny Hamlin.